DJ Audio Editor is an easy-to-use and well-organized audio editing program will let you explore and edit your favorite songs and sounds in ways which you would never have imagined. You can add or detract hundreds of audio effects to your sound files, manipulate and enhance audio files with cut, join and trim functions. 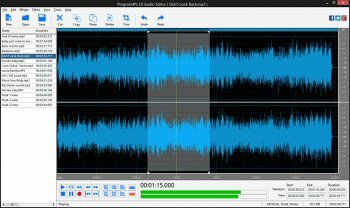 Record audio from various inputs and save to all popular audio formats.